Relating the Bible to the 21st Century. 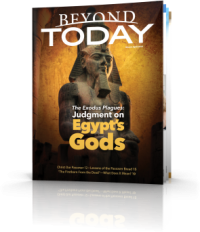 Beyond Today magazine is the biblically-based flagship publication of the United Church of God, an International Association . 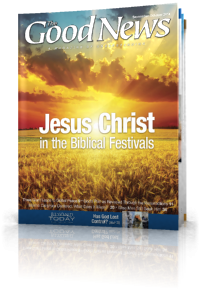 The magazine features a variety of articles on biblical topics, with an emphasis on the 'good news' (gospel) announcement of the Kingdom of God on earth, both now and in the future under the lead of Jesus Christ. 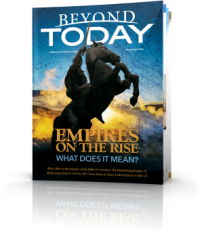 Following are recent issues of Beyond Today. 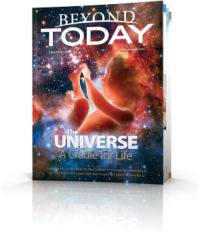 For earlier editions, please visit the Beyond Today website. Why is marriage important? For centuries, marriage has been the bedrock of families and civilization. Now we are seeing marriage under attack from all sides. What’s behind the attack on marriage? 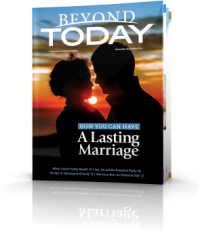 And what can you do to strengthen your marriage and make it last? Be sure to read this issue to understand the answers! 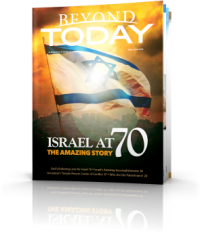 Download this issue in PDF or read online. Many would have you believe that science and the Bible are inherently contradictory. But are they really? The problem is that many misinterpret what the Bible really says, and a lot of what passes for science really isn’t scientific or factual at all. Do you understand the difference? And does it really matter? Be sure to read this issue to understand the answers! Israel is once again in the news as it celebrates the 70th anniversary of its founding as a modern state, as the United States prepares to move its embassy to Jerusalem, and Hamas-organized protesters in Gaza pledge to overrun the border, retake Jerusalem and drive the Jews out of the land. What’s behind the ongoing turmoil in this deeply troubled region? Does Bible prophecy give us insight and understanding? Where are events here leading? Be sure to read this issue carefully to gain the understanding you won’t find in other sources! Empires on the Rise: What does it mean? We are living in a world of massive change. As American power and influence rapidly recedes, previous major powers such as Russia, China, Germany, and even the Islamic and Ottoman Empires seek to regain their former might and glory. What’s behind the rise of these ancient empires? 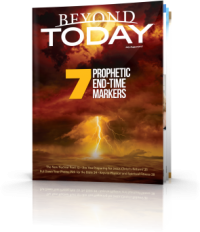 Does Bible prophecy give us understanding? What does it all mean? 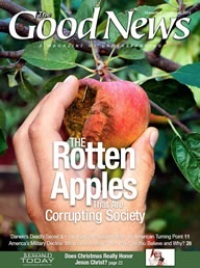 Be sure to read this issue carefully to better grasp where our world is heading and why! 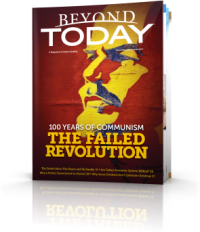 A century ago the Russian revolution toppled Czar Nicholas II and led to a communist takeover of the Russian Empire. How did that revolution come about? What was it like for the people who lived under the communist system? What were the results of this misguided experiment to create a human utopia without God? And why is it so hard to create a human government that really works? 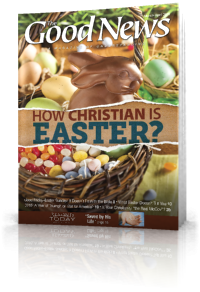 Find out the answers to these questions in this issue! In a world changing before our eyes, we’d all like to know what the future holds. How will it affect us and our loved ones? Can we know where it’s all headed? 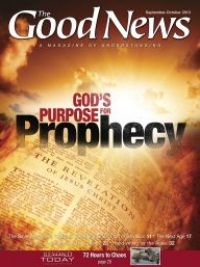 This is where Bible prophecy has a message for each and every one of us. 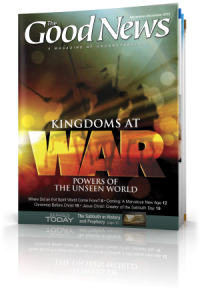 God reveals where the world is headed—and most importantly, why. 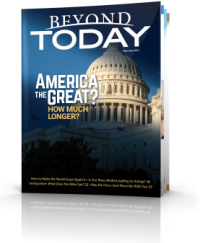 You need to understand some of the key trends revealed in Bible prophecy—trends that tell us that the time of Jesus Christ’s return and the coming Kingdom of God are drawing near! 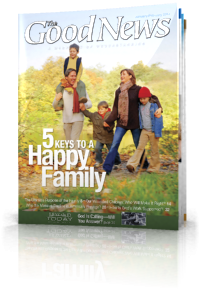 Discover some of these key trends in this issue! 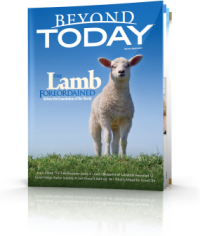 The Bible refers to Jesus Christ as the “lamb … foreordained before the foundation of the world.” But what does that mean? Why is He compared to a lamb? And what does “foreordained before the foundation of the world” mean? Foreordained to what, and when and why? 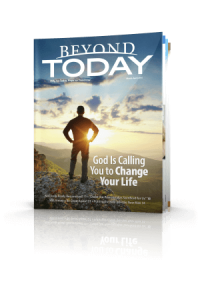 The answers are crucial to your future—discover them in this issue! 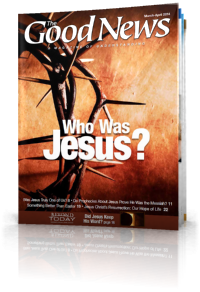 Download this issue in PDF. 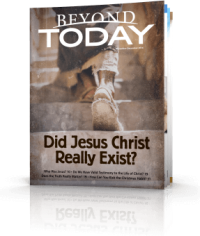 Did Jesus Christ really exist? Are the stories written about Him in the Bible true? Much as some don’t want to hear it, the historical evidence is compelling and conclusive. And if He did exist, who was He, really? Can we believe His shocking claims about His true identity? 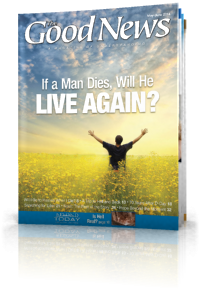 Discover the answers in this issue—and they have huge implications for your life! 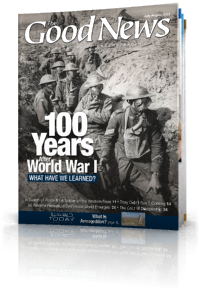 Subscribe, read online, or download this issue in PDF. 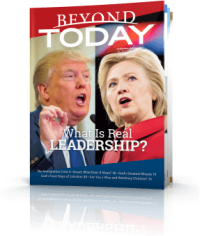 Our world desperately needs real leadership! Why is it so hard to find? One reason is that we fail to understand what the Bible reveals is at the heart of true leadership. The time is coming when the world will experience the right kind of leadership—as exemplified by Jesus Christ Himself! 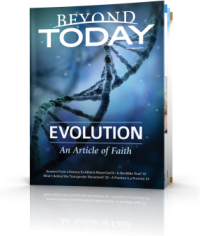 The fossil evidence still fails to support Darwin's theory — showing people accept Darwinian evolution more as an article of faith rather than fact. 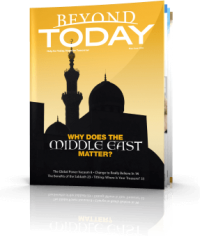 Why Does the Middle East Matter? The current U.S. presidential race offers starkly different visions for the future. On top of this, we currently see a major power vacuum developing in the world. 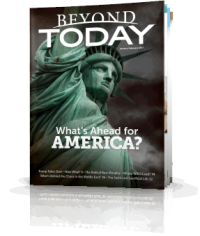 Does Bible prophecy give us an indication as to what lies ahead? Now more than ever is the time to understand our world, and in particular why the Middle East matters to your life. The events we are seeing should motivate us to seek the true and living God. Download this issue in PDF. Individual web articles will be posted in the upcoming days. 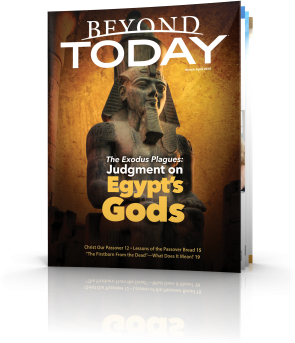 In this issue we examine one of the Bible’s most famous prophecies and explore what ramifications it has for us today. 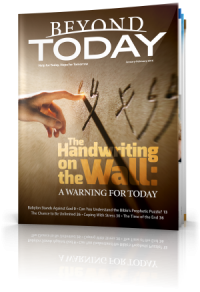 We also take a sober look at tragic events on the world scene and discuss where God is in all of it. 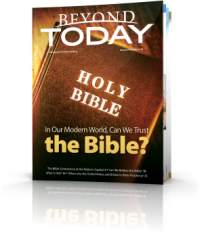 Finally, in the The Bible and You section, we offer help in rediscovering the first love of God’s way. Download the entire issue in PDF. The individual articles will be posted online in the upcoming days. Nothing could be more critical for you than to understand your future! 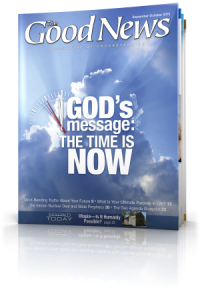 God has a message for you: The time is now to discover the answers and begin living His purpose for you. 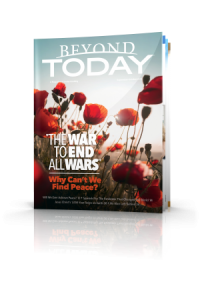 Although our headlines are full of terror, we can be at peace and full of hope—hope in the coming Kingdom of God, which Jesus Christ will establish on earth at His return. 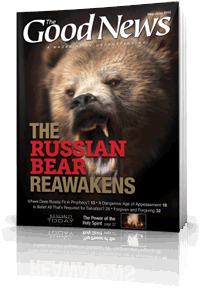 A personal perspective about what's going on in Russia and Ukraine and what your response should be in the light of Bible prophecy. 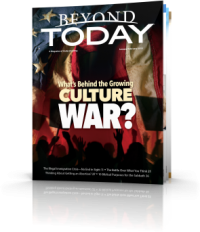 This issue highlights 5 major ideas directly related to the decline of biblical morality in our world today, and will help you identify dangerous ideas that will affect us all and take our society further from God, culminating in the return of Jesus Christ to save us from ourselves. 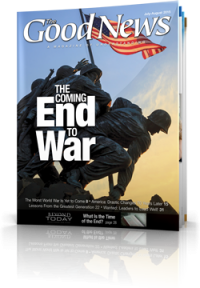 The final outcome is certain — 'good news of the coming Kingdom of God' — but in the meantime we need to be vigilant.